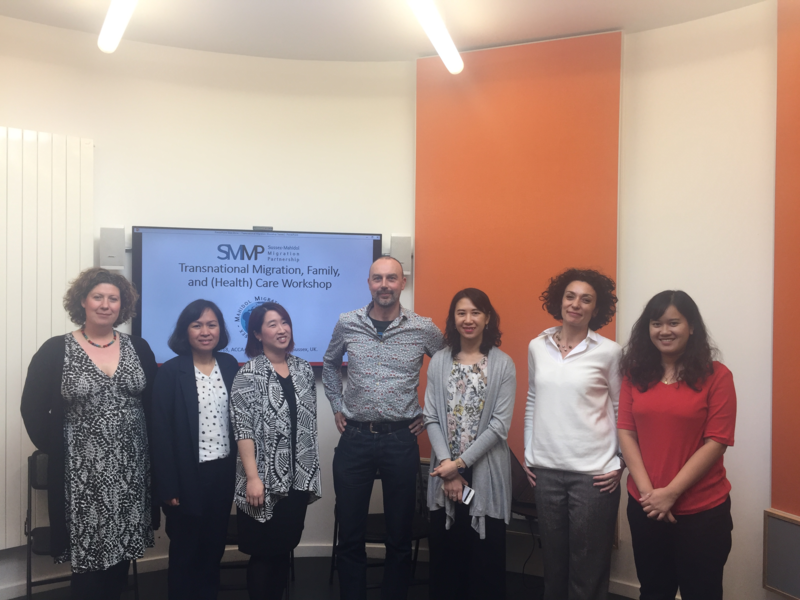 On May 1st, 2018 the Sussex Mahidol Migration Partnership (SMMP), together with the Sussex Centre for Migration Research (SCMR), organised a one-day workshop on the theme “Transnational migration, family, and (health) care”. The workshop aimed to bring together scholars based in both Northern Europe and Thailand and who had previously not worked together. It therefore provided the opportunity for new links and potential future collaborations. The general focus of the workshop was on transnational migration between Thailand and Europe. After a short welcome and presentation about the SMMP’s activities by Dr Sarah Scuzzarello and Professor Paul Statham, Dr Natasha Webster (Department of Human Geography, Stockholm University) kicked off the day and presented her research on Thai entrepreneurialism in Sweden. 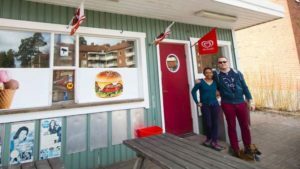 Dr Webster’s research clearly shows how these women are in a contradictory position of integration in Swedish society (as they are formally in employment) and of marginalization (as their monthly income is the lowest among female entrepreneurs). This presentation was followed by Dr Sirijit Sunanta (RILCA, Mahidol University) who presented preliminary findings from her collaborative project on the transnationalization and commodification of elderly care in Thailand. The study demonstrates how the market dominates the question of care in Thailand and it shows the emergence of the stratification of care provision for and by citizens and non-citizens in Thailand. The second session of the workshop focused on the lived experiences of Thai women married to Western men. 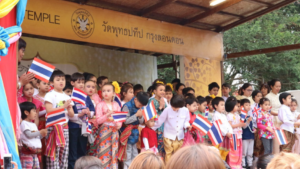 The presentations highlighted the strategies used by Thai marriage migrants in Europe to navigate and fulfil family expectations at ‘home’ and in the country of settlement. Dr Asuncion Fresnoza-Flot, Laboratory of Anthropology of Contemporary Worlds (LAMC), Institute of Sociology, Université libre de Bruxelles, discussed how gender norms in Thailand and in Belgium shape the lives and the subjectivities of Thai marriage migrants. Miss Pattraporn Chuenglertsiri’s (SCMR, University of Sussex) presentation introduced the findings from her ethnographic research at Buddhapadipa Temple in Wimbledon. Miss Chuenglertsiri explained that Thai women’s motivations to attend the temple have less to do with faith and more about gaining sense of belonging and community, both emotionally and materialistically. Finally, Professor Paul Statham (SCMR, University of Sussex) discussed the aspirations, experiences and life course transformations of Thai women in an enduring relationship with ‘older’ Western men. The findings from his recent project “The Search for a Better Life” show that the lives of these women often change beyond recognition after marriage challenging relationships with the native family, but also that power relations between the couple are fluid through the life course. The third panel looked at ‘the other side of the coin’. In their presentations, Miss Kwanchanok Jaisuekun (RILCA, Mahidol University), and Dr Sarah Scuzzarello (SCMR, University of Sussex), offered an insight in the lives of Western retirees living in Thailand. Miss Jaisuekun focused on the motivations and experiences of German retirees living in Pattaya and also on the socio-economic impact that this migration flow has on the city – especially considering the mushrooming of health- and elder-care businesses in the city. An important question in the field of transnational regiment migration is that of potential future mobilities. Dr Scuzzarello’s paper discussed the extent to which Western retirees intend to stay or leave Thailand in the near future and the motives behind these decisions. Her research, together with Dr Tangchitnusorn (Mahidol University), shows that those who wish to stay (31% of respondents) do so mainly because they have family relations in Thailand, while those who intend to leave (28.5%) are dissatisfied with Thailand’s corruption, political instability, and visa schemes. Importantly, most respondents are undecisive about their future mobility. The workshop’s final presenter was Dr Sine Plambech’s (DIIS, and Columbia University, Barnard – Department of Women’s, Gender & Sexuality Studies) who showed a preview of her latest documentary “Between Two Worlds” (with Janus Metz). “Between Two Worlds” is a unique longitudinal study of a network of Thai/Danish marriages shot over ten years. The film follows two documentaries (“Love on delivery” from 2007, and “Ticket to Paradise”, from 2008) and it documents how four couples’ lives develop over the years and how the women’s migration and their efforts to help their families affect their children many years down the line. We ended the workshop with a discussion discussing potential future collaborations. Among the ideas that were flagged up, were the opportunity of co-organizing a panel at the 2018 Mahidol Migration Center’s conference; and exploring the possibility to fund a cross-national collaborative project on transnational migration to/from Thailand with the respective national research bodies.